Aster Data, a startup that helps companies manage and analyze vast quantities of data, has raised a $30 million Series C funding round from existing investors Sequoia Capital, JAFCO Ventures, Institutional Venture Partners, Cambrian Ventures, and David Cheriton — and an unnamed strategic investor. The company had previously raised a $17 million B round in February 2009, and a $5 million A round in 2007 (you can see their full funding history on CrunchBase). Aster Data makes products that help manage and analyze very large sets of data, solving problems that standard databases may not be able to cope with. 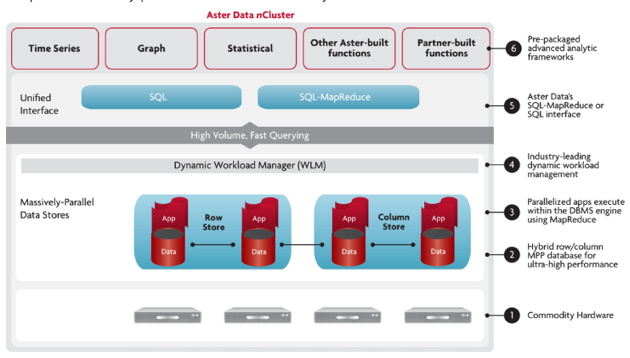 One of Aster’s core products is nCluster, which the company describes as a massively parallel (MPP) database with an analytics engine baked in. Aster Data’s clients include comScore, LinkedIn, and MySpace. The company says that since 2008, it has doubled revenue year-over-year.